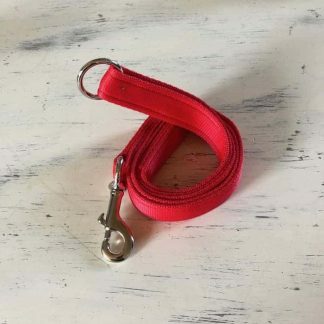 The Car Boot Dog Lead is a strong handmade dog lead which is a short, adjustable, double ended lead designed specifically for car travel for dogs. Its’ specific design was intended to prevent dogs from jumping out of car boots when doors were opened. Its’ design is protected by the IPO as a unique design in the UK. 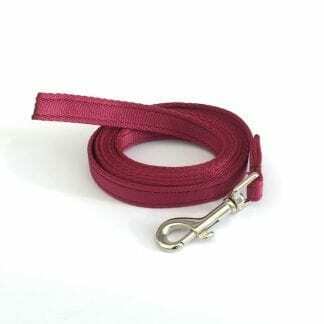 The Car Boot Dog Lead has been in production since 2009, but only recently became design protected by the Intellectual Property Office. What does the lead consist of? – The lead is a short double ended adjustable lead that attaches to either a boot floor anchor or to a head restraint, our leads are not designed as Isofix car leads or seat belt car leads. Why is the Meg Heath Car Boot Lead better? – Our lead is British made by myself. I make it on an industrial machine with ‘Tkt 40′ thickness thread which is immensely strong. I don’t use a sewing machine meant for home/hobby users, this is the real deal and the thread is not easy to break. As a backup, I provide a Lifetime Guarantee against any stitching default, so in the unlikely event that your car lead breaks, I will replace it free of charge. 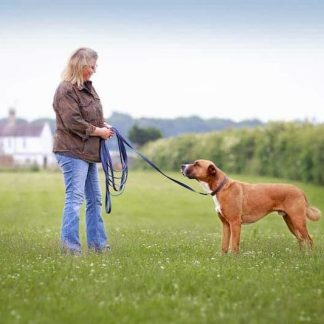 Customise – as with all of our dog leads, the car boot lead for dogs can be customised. They can be made slightly longer, have brass fittings and can be made is 18 different colours.